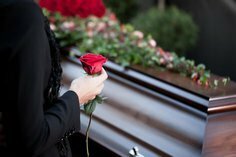 If you watch the evening news or read the local paper, you’ve probably come across the term “Wrongful death.” Legally speaking, wrongful death is a term used for a type of action that can be filed by the heirs and beneficiaries of a person who was killed because of the wrongful conduct of another person. Wrongful death laws are intended to provide compensation to help support the dependents of the deceased. Conduct that can result in a wrongful death claim include negligence, such as reckless driving, or intentional crimes such as assault or murder. In most states, the standard of proof for wrongful death cases is a preponderance of the evidence meaning that the injured party has to prove to the jury that there is a greater than 50% chance that the defendant’s negligent or criminal actions were the cause of death. This differs from criminal cases where the prosecutor must show proof beyond a reasonable doubt, a much higher standard. Therefore, it’s often easier for survivors to prove a wrongful death case than it is for prosecutors to prove a criminal case. One well-known example is the O.J. Simpson case where the survivors of Ron Goldman and Nicole Simpson chose to sue for wrongful death and won after O.J Simpson was acquitted in the criminal case. Wrongful death laws are different from state to state, and they govern who can sue for wrongful death and whether there are any limits that should be applied to damage awards. In general, a surviving spouse, children, or next of kin can recover for wrongful death. However, in some states, only minor children, not adult children, can sue for the death of a parent. There are some exceptions to who can be sued for wrongful death. In order to promote strong family relationships, some states don’t allow a person to sue another member of his or her family for wrongful death, However, many states have dropped this rule, because it has at times prevented families from collecting insurance proceeds. It can also be hard to sue states or local governments, or the federal government for wrongful death – the rules vary among jurisdictions. In order to sue for wrongful death, it must be shown that the defendant’s actions (or failure to act when he should have) were the immediate and foreseeable cause of the deceased’s death. In wrongful death cases, state laws govern what amount of damages can be recovered. Usually, wrongful death cases include compensatory damages, which provide an amount of restitution for lost income, medical and funeral expenses, and economic support in an amount the plaintiffs would have received if the deceased had not died. In some cases, the survivors can also recover for loss of companionship and sexual relations. Calculating the exact amount of damages requires the consideration of a number of a variables, such as the amount of time the deceased would have continued working and the deceased’s salary, and the deceased’s life expectancy, including physical and mental health. In some wrongful death cases, punitive damages (which are intended to punish the defendant) can be awarded if the defendant’s actions were extremely reckless. The jury decides whether there should be an award of punitive damages. Any punitive damages that are recovered are generally divided among the survivors by statute.